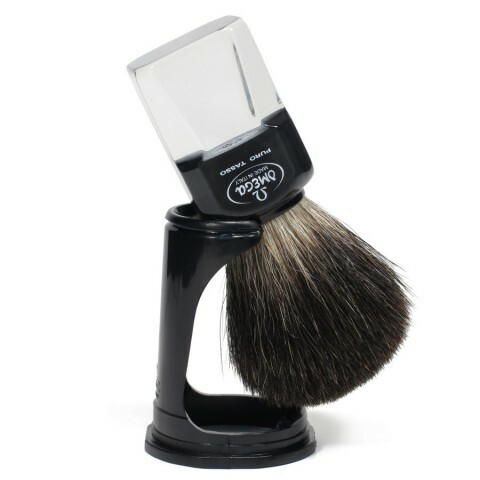 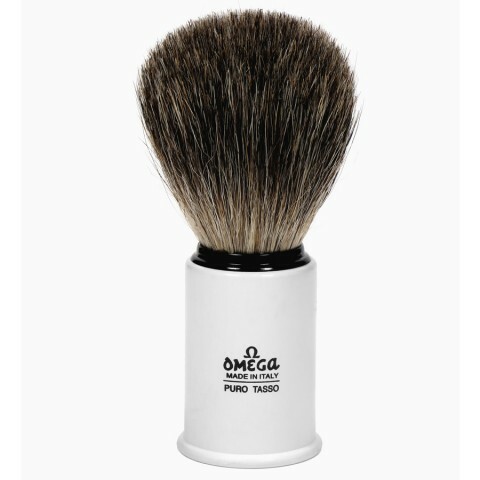 Omega Black Badger shaving brush with plastic handle. 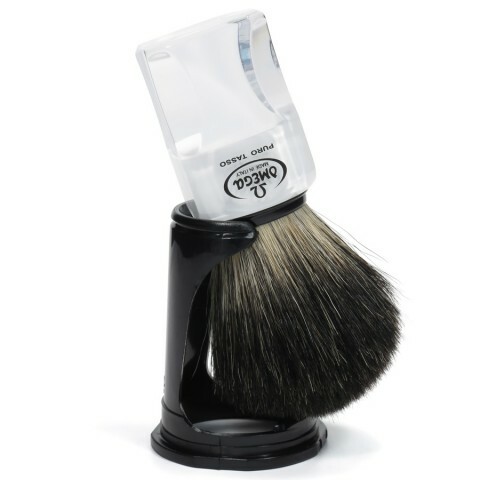 Omega Black Badger shaving brush with transparent resin handle and stand. 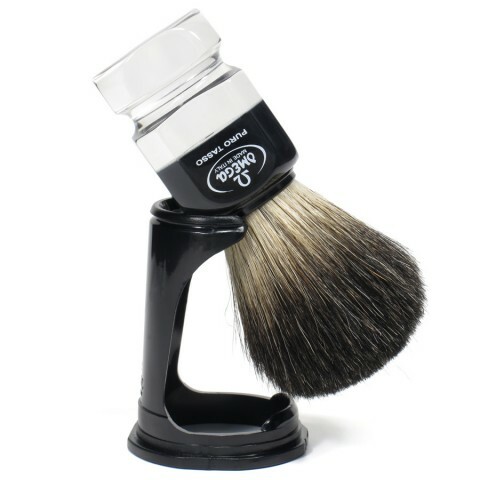 Omega Shaving brush in Black Badger with transparent resin handle and stand. 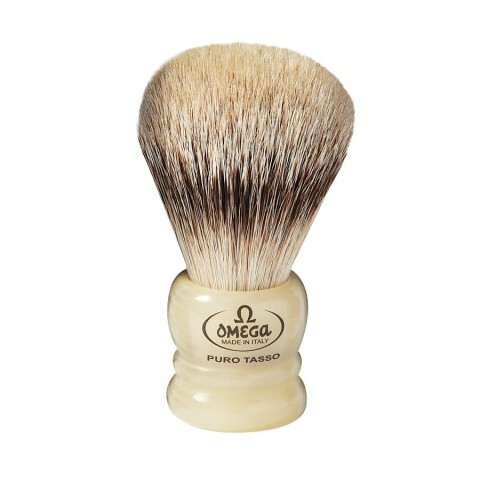 Super Badger Omega shaving brush, resin handle horn effect. 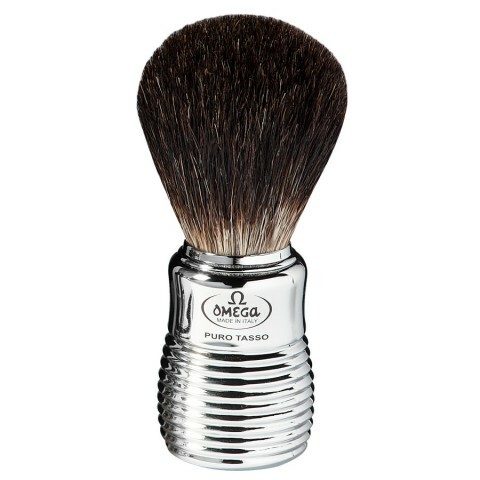 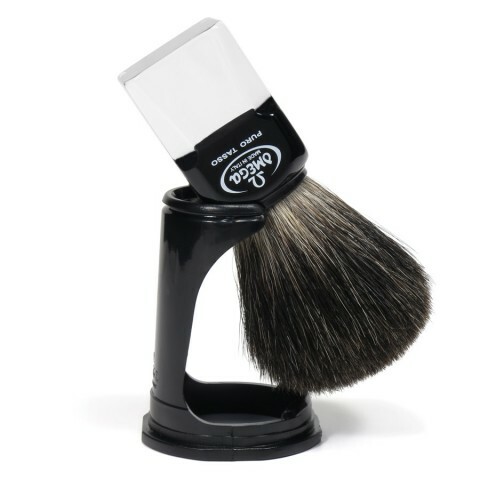 Black Badger Omega shaving brush, chromed plastic handle. 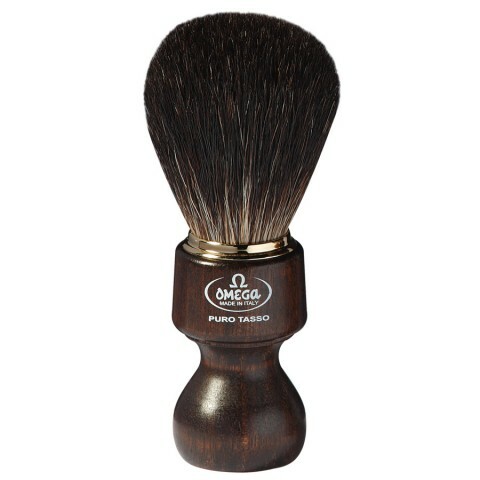 Black Badger Omega shaving brush, ovangkol wood handle.